Above Average is a multi-channel producer of digital comedic content, founded and incubated by Lorne Michaels’ Broadway Video. The Company produces branded and original short-form comedy videos offering a unique combination of marquee comedic talent sourced through its SNL “ecosystem” relationships, rising comedic talent, and a growing network of original content creators and collaborators. 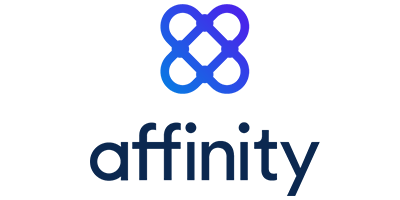 Affinity’s patented technology structures and analyzes millions of data points across emails, calendars, and third-party sources to offer users the tools they need to automatically manage their most valuable relationships, prioritize important connections, and discover untapped opportunities. The platform also offers a holistic view of users’ networks in a centralized, automatically updated database without any manual upkeep. Bellhops is the nation’s first tech-enabled moving platform, which not only streamlines the move-day process but also ensures customers are matched with the most-qualified movers and drivers in their area. The Company is committed to refining the experience of moving by recruiting friendly, hardworking people and using technology to connect them with customers in a seamless way. Brandable is a next generation consumer products studio that partners with strategic influencers to build the next great consumer products brands. The Company is focused on key categories including toys, wellness, and food & drink to develop relevant, millennial minded brands from the ground up that have real demand and marketplace fit. Clippings’ platform provides the interior design industry with new ways to source products and manage projects from inspiration to installation. The London based startup is building technology to develop smarter streamlined processes that reduce the time, friction, and cost required for interior designers to discover and source products for commercial and residential projects. Compass is a real estate brokerage firm, built on an integrated technology platform that increases agent productivity and offers consumers a cross-device, cohesive, end-to-end service, from the initial search to the final signature. The Company’s technology provides leverage in lead generation and workflow management, increasing margins as compared to traditional real estate brokerages. The platform also provides unique insights about agents, customers and the market, further enabling Compass to optimize its funnel and improve the customer experience. Curology is an end-to-end prescription skincare company that uses its technology platform to acquire and treat patients for acne and related blemishes. The Company was founded by two dermatologists who felt that the way these conditions are treated by medical professionals is highly inefficient with respect to both access and pricing. Curology enables consumers to engage with a medical professional online and receive prescription medication that is created specifically for their skin condition. Digitour is an emerging media and entertainment company that creates and produces IRL (“in real life”) social media experiences. The Company has developed a proprietary talent model to identify and recruit emerging young stars from YouTube, Vine and Instagram for their events, most of whom have already cultivated a sizeable and passionate following. EVRYTHNG works with Fortune-1000 consumer product manufacturers to make any product connected by creating and managing an "Active Digital Identity" ("ADI") for that product. The Company offers a platform-as-a-Service model that allows enterprise customers to manage the ADIs of their products and then facilitate and manage digital transactions involving those products. Through ADIs, brands can track and analyze usage, foster customer interaction and engagement, and provide value-added services that drive loyalty. Farfetch is an online marketplace that connects independent, luxury fashion boutiques with high-end consumers around the world. The company carefully curates its network offline stores, based in places like Paris, New York, Helsinki and Honolulu, and provides them the infrastructure (e.g., inventory management, tracking, photography, customer service) and audience to sell online. Featured products come from designer brands as well as up-and-coming designers. Flite is a data-driven, programmatic creative solution that provides technology for advertisers and publishers to build creative, set up campaigns, test / optimize media and measure results. The subscription-based product also integrates third party applications (e.g., Twitter, Instagram) directly into online ad units, enabling customers to leverage content across marketing channels, at scale. Flite provides marketers with the ability to respond in real time to performance data and current events, updating their paid media with the most relevant content. Gigya is a leader in the customer identity and access management market. The Company helps companies turn unknown site visitors into known, loyal, and engaged customers. More than 700 of the world’s leading enterprises, including 50% of the comScore top 100 US web properties, rely on Gigya to build identify-driven relationships with over 1.1 billion customers while powering scalable, secure, privacy compliant customer identity management. HyTrust develops workload IT security solutions focused on securing private, public, and hybrid cloud infrastructure. The Company’s software mitigates security and operational risks that customers face when pursuing cloud and virtualized data center transformations including governance and encryption. HyTrust has been widely deployed by Global 2000 customers and top government agencies, with strong market presence in financial services, healthcare, and government verticals. IfOnly is a marketplace for incredible experiences. 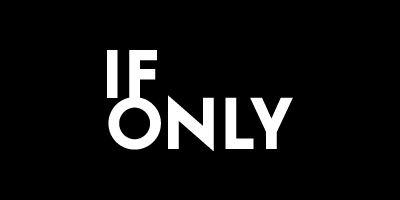 From unique everyday offerings with local experts to once-in-a-lifetime connections with lauded luminaries, IfOnly provides access to a curated selection of extraordinary experiences that benefit worthy causes around the world. isocket provides a technology platform designed to simplify the direct advertisement sales process. The Company’s platform automates the manual steps like order execution and monitoring, enabling premium publishers and advertisers to do more business directly and at ease. Joor is a wholesale fashion marketplace that allows brand and retailers to connect and transact digitally. The Company has put the entire wholesale buying process online to enable brands and retailers to drive incremental revenue, cut costs, improve their customer experience, and analyze performance through data analytics. Mediamorph is a provider of cloud-based management software for participants in the digital video content and distribution supply chain including studios, networks, and operators. The Company’s cloud-based enterprise software and data services help customers optimize content exploitation, maximize revenues, and better understand licensed-content value. Mediamorph improves the management of and insight into financial, rights, and consumption information, while streamlining data through customers’ systems and supply chains. Moda Operandi is a trusted flagship insider, offering unprecedent access to the runway for this season and next. The Company is the only online retailer allowing clients to preorder next season’s looks straight from the runway while also offering expertly a curated in-season boutique. 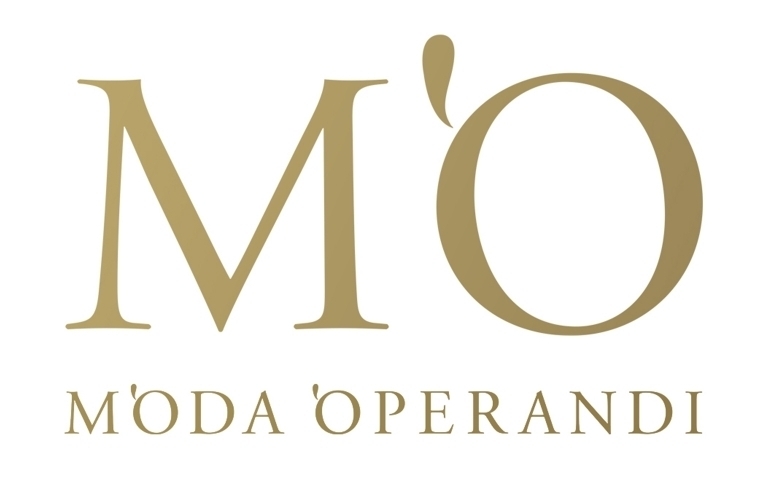 Moda Operandi’s stylists provide the most bespoke services in luxury shopping, attending to clients’ every need, from expert styling advice to tailored wardrobe recommendations. Modsy is a software-enabled interior design platform that uses advanced 3D rendering technology to create realistic visualizations of living spaces and furniture. The Company’s technology ingests photographs provided by customers to create life-like room models and populates these models with suggested layouts and furniture designs based on a customer’s style preference. Customers can then modify the layout and furniture choices and purchase items across brands through the website. MONOQI is the online destination for hand-picked design. Since 2012, the Company has dedicated itself to collecting hard-to-find and limited-edition design products. MONOQI has an international team searching the globe for the best contemporary design, making strong curatorial selections presented on its flash-sale platform. Nativo provides a technology platform for native advertising to publishers and marketers, enabling the delivery of highly curated brand content served within publishers’ editorial streams, matched to the look and feel of the specific property or publication, and fully integrated with and consumed on the publisher’s site. Newscred is the global leader in enterprise content marketing. The Company’s content marketing platform provides actionable insights and streamlines processes for content marketers to tell exceptional stories that drive measurable results. Newsle develops a news aggregator that tracks people in the news. The Company’s news discovery engine enables users to follow published content about people they’re connected to and following on social networks. PebblePost invented a platform, Programmatic Direct Mail®, that enables brands to convert online shoppers into buyers with meaningful direct mail. The Company uses real-time online interest and intent data to send personalized direct mail that influences at-home purchase decisions and drives conversions across all purchase channels. The patent pending digital-to-direct mail platform integrates segmentation, campaign management, advanced targeting, product, analytics, and optimization. 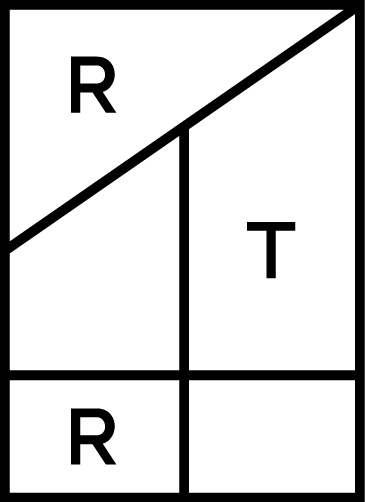 Rent the Runway is a fashion company with a technology soul. Powered by a transformative business model, proprietary technology, a unique reverse-logistics operation and some of the smartest people on earth, the Company is in a position to challenge old systems and rewrite new rules. By giving people access to remarkable luxury experiences, Rent the Runway is changing the meaning of ownership — and revolutionizing retail in the process. Sawyer is bringing children’s activity inventory online and building a destination for parents to manage their children’s activities, schedules, and overall development. The Company also develops an online booking and payment solution designed for children’s activity provides, including features such as scheduling, commerce, and customer management. Taboola has built the world’s largest and most advanced discovery platform delivering personalized recommendations to over one billion users every month, on many of the web’s most innovative and highly-visited websites. Thousands of leading publishers, marketers, and agencies utilize Taboola’s predictive technology to increase user engagement, monetize their traffic, and distribute their content to engaged audiences across the web. Unified helps marketers make informed and impactful decisions with the industry’s only business intelligence platform purposely designed for social advertising. With experience collecting and enriching over 1 billion dollars of social investment data, Unified is passionate about providing Fortune 2000 brands and agencies greater transparency into their many teams, tools and strategies. The Unified Platform and service teams are specifically built to ensure data quality, optimize investments and answer critical business questions. UrbanSitter has built a trusted online marketplace in the childcare space, offering an online platform dedicated to matching families and childcare services providers in major metropolitan areas across America. The Company enables parents to screen caregivers and post short-term and long-term job opportunities, manages the scheduling and payment of caregivers, and provides a forum for families to share feedback on caregivers. Vestiaire Collective is a luxury resale marketplace where consumers can buy and sell pre-owned designer clothes and accessories. Unlike other pre-owned marketplaces, the Company is heavily involved in curating, verifying, and shipping goods that are sold through the platform. Vestiaire employs a quality control team that assess 100% of items sold on the platform. Visible Measures develops a digital video platform that uses MRC-accredited metrics and patented technologies to power an analytics suite with one-of-a-kind capabilities for measuring not only total viewership, but also how much time users spend with ads. ©2019 Advance Venture Partners. All Rights Reserved.